Anniversary Update: New Monstercat Playlist, Rocket League Radio Debut! 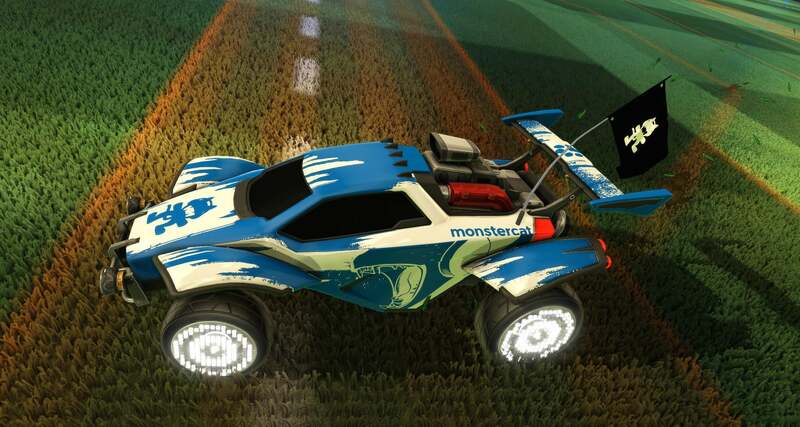 Leave a Comment on Anniversary Update: New Monstercat Playlist, Rocket League Radio Debut! What Anniversary Update would be complete without some fresh tracks and a new way to select your music? We’re teaming up with Monstercat on a brand new default music playlist, “Rocket League x Monstercat,” with 18 tracks coming to our in-game soundtrack on July 5! Four tracks are being released early starting this week, with the remaining 14 tracks making their worldwide debut inside Rocket League next month! If you watched our Anniversary Update trailer, or saw it during the RLCS World Championship broadcast, you should recognize “ROCK IT” by Tokyo Machine, which you can check out on Spotify. If you want even more, one new track will be released every Monday heading up to the Update’s release. Once released, check the Rocket League’s Twitter and Facebook for more information. Players on Steam will be able to download the soundtrack directly after release, and the playlist will be available to stream or purchase (where applicable) on Spotify, iTunes, Apple Music, Bandcamp, and more. Along with the brand new default playlist, we’re including a FREE Monstercat Flag and Decal in the Anniversary Update, so you can rep your favorite artist on the pitch. The new Monstercat playlist is helping us kick off Rocket League Radio, a new take on how you choose which music plays in the Rocket League menu. Four distinct playlists will be available at launch, including “Rocket League x Monstercat,” “Rocket League OST Vol.1,” “Rocket League OST Vol. 2,” and “Unreleased Tracks.” (Unreleased tracks are songs not yet tied to an official soundtrack release.) You can stick with your favorite playlist, or listen to all four playlists at once!